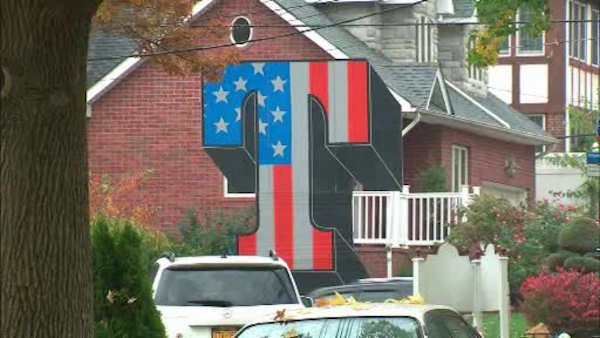 CLIFTON, Staten Island (WABC) -- Voters around the New York area reacted to Donald Trump's win over Hillary Clinton in the 2016 presidential election in varying ways, from overjoyed fans to downtrodden and tearful Clinton supporters. New York, New Jersey and Connecticut all ended up blue, but a closer examination reveals pockets of support for the President-elect across the Tri-State area. Trump won most of the Jersey shore and western New Jersey, as well as some areas of the Hudson Valley, Suffolk County and Staten Island. Kemberly Richardson has more from Staten Island. One of the big questions is what will a Trump presidency look like, after he made bold and sometimes controversial promises on the campaign trail. Perhaps his signature issue was his promise to build a wall on the southern border of the United States and have Mexico pay for it. Latino voters turned out in large numbers, and against prognostication, many went for Trump. Joe Torres has reaction from East Harlem. A temporary ban on Muslims entering the country under his so-called "enhanced screening" was also a hot topic. So how is the Muslim community reacting to his election? Anthony Johnson has reacton from Paterson.